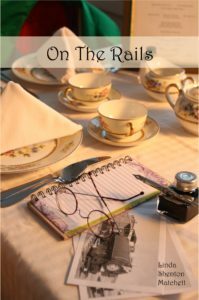 "On The Rails" is a well-written sweet historical romance novel! Katherine is mortified to have been dumped by her boyfriend when she was expecting a proposal and just wants to get away. 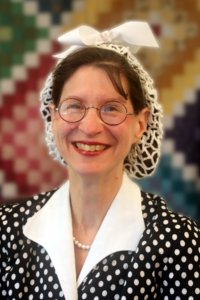 Who could blame her with wagging tongues and gossip like that would be sure to spread throughout the town. Katherine quickly starts over with a new life as a Harvey Girl far away from her hometown. However, starting over will not be going as she thought especially when her former boyfriend is having second thoughts. This is such a great story; I love the historical details all throughout as this is a time period of such change and excitement in the country. I had heard of Harvey Girls but not in detail such as this and really getting to know this part of history was fascinating to me. The storyline flows nicely and the characters were all easy to connect with and enjoy reading about. I highly recommend this book for those whom enjoy historical fiction!